Losing weight is not an easy thing unless you have the discipline and the temperance to do it. There are lots diet supplements that you can use to help you lose weight, more so there are lots of diet plan that you can choose from. But the question is what is the best diet plan for you ? Below are the top rated diet plan recommended by health experts. These diet plans are easy to follow, safe, nutritious and the most important thing is it is effective not just for weight loss but is best against heart disease and diabetes. DASH has some similarities with Vegetarian Diet, Mayo Clinic Diet, Mediterranean Diet and TLC Diet. It is effective in losing weight as well as helps prevent and lowers hypertension. The DASH diet plan is actually very simple and easy to follow. It’s all about calorie counting and goal is to eat 2000 calories per day. As with any other diet, you have to consume fat-free food items with emphasized in fruits and vegetables. Originally DASH was meant for lowering blood pressure by restricting the sodium intakes but later it was found equally effective for weight loss. Infact it was rated as the best diet by US News & World Report, a US consumer rating portal, for 4 consecutive years. It is created by Marla Heller and since its inception there are now 4 books in Dash Diet Series. It is available on Amazon and you can also find several meal plans based on DASH Diet on internet. DASH program focuses on daily and weekly diet goals by recommending servings of food group. DASH plans for 2000 healthy calories per day. It requires no special food instead it asks you to remove certain food items which are high in saturated fat. This plan helps you in having a heart-friendly eating style. It is available on Amazon and is currently the Best Seller in High Blood Pressure. TLC diet is a low fat diet and closely resembles the DASH diet and Ornish Diet. Its main objective aside from losing weight is to cut high cholesterol. This diet is said to lower your bad cholesterol by ten percent in just six weeks. Unlike other programs it doesn’t set specific goal for calories instead it recommends you to eat balanced calories based on your goal and condition. This diet is created by National Institutes of Health. It works by cutting off on fat especially on saturated fat. Saturated fat you find in fried foods, whole milk dairy and fatty meat gives way to bad cholesterol which increase your risk for stroke and heart disease. You can start by targeting your calorie level. If your aim is to avoid high cholesterol and wants to lose weight then go for 1,600 calories for men and 1,200 calories for women. Next is to cut your consumption of saturated fat by seven percent or even less of daily calories. This means you eat less high fat dairy foods like salami, butter and more. Make sure to consume less than 200 milligrams of dietary cholesterol in a day. 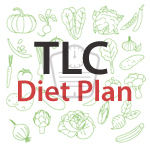 With your TLC diet plan except to eat plenty of vegetables, fruits, whole grains, fish, nonfat dairy products and skinless poultry. Your diet consists of less meat not more than five ounces; four servings of fruits; three to five servings of vegetable; two to three servings of low-fat and of course six to eleven servings of bread, pasta, rice, cereal and other grains. Generally low fat diets promote weight loss and it is proven true with several studies conducted. Looking into 19 clinical trials, it showed that individuals with low fat diets lost weight about seven pounds a year. If you lessen your daily fat calories by ten percent ten you lost an average weight of 6.3 pounds in six months. 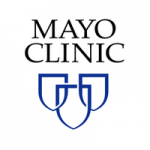 Mayo Clinic Diet is a balanced diet and great resembles the DASH diet and Volumetric diet. Its major objective is to lose weight safely. This diet claimed you will lose six to ten pounds in just two weeks and one to pounds weekly thereafter until you finally hit your weight goal. This diet plan is easy to follow, it centers in calibrating your eating habits, dumping bad eating habits replacing it with good eating habits base on the Mayo Clinic’s food pyramid. 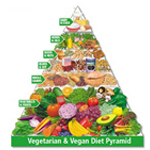 This food pyramid focus more in fruits, vegetables and whole grains. This food is low energy density so that it is safe for you to eat more yet consumes less calories. You have the Mayo Clinic Diet books to guide you through and you will work out losing weight through two parts. Part one of the books focus on the fifteen key habits that you should observe. Here you do not have to count your calories and you can have all the fruits and vegetables that you want. After two weeks you now begin part two and this is the part where you now learn how many calories you should eat for you to maintain or lose weight and most of all from what food groups it should come. Here you will learn to develop the way to healthy eating. Your diet should compose of plenty of vegetables and fruits, whole grains and of course some healthy fats. Along with the right diet comes a good physical activity. Exercising 30 to 60 minutes a day should keep you burn calories and will help keep your figure trim. Most individuals may find it difficult in the first part where they have the “Lose it” part, that is why this part is only for two weeks but after this you will most likely stay on your goal of losing weight. Mediterranean diet does not only bring weight loss but it is also good in the control and prevention of diabetes, cancer prevention and heart and brain health. It is best for people who wants to lose weight and stay healthy by avoiding those major chronic diseases. There is isn’t really a pattern that you have to follow in a Mediterranean diet although they base it in the Mediterranean diet pyramid which focus on vegetables, fruits, legumes, nuts, beans, whole grains, herbs and spices; olive oil, seafood a couple of times a week; poultry and dairy products in moderation and of course a little red meat and sweets only for special occasions. The Mediterranean diet is not really a structured diet but is an eating pattern thus it is your responsibility to know how many calories you should consumer for you to lose weight or to maintain your weight. You also have to do what you can to stay active. 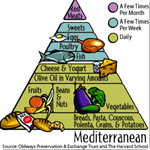 A Mediterranea diet is quite pricey for most of the ingredients are expensive. Fresh produce in particular is quite expensive and other foods like fish, nuts and even olive oil. The Weight Watchers Diet plan focuses on weight loss and it closely resembles Mayo Clinic Diet and Jenny Craig. This diet plan is said to drop two pounds every week. Weight Watchers Diet focus on Points Plus where every individual has its own Points Plus target, this figure is based on your age, height, weight and gender. With this diet plan, you can eat whatever you want as long as you stick to your daily Points Plus target. 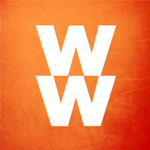 At Weight Watchers website you will find thousands of various foods with its corresponding point values. Processed foods like Bologna usually carry the highest point values while vegetables and fruits carry zero points. This only means that you have to eat less or avoid processed foods and eat as many as you want with vegetables and fruits. You can actually make your own menu as long as you do not exceed your Points Plus target in a day. You can choose to do this alone or you can do this with the support of other Weight Watchers dieters. They hold weekly meetings where members can share their own weight loss tips and recipes. How expensive is the plan? It depends if you just want to use the online tools or you have the option to attend their weekly meetings. A monthly fee for unlimited person meetings cost $39.95 with access to eTools. You also have the option to pay for weekly meeting for about $12 to $15 but with a one time registration fee of $20. If you want to follow it online then it cost you $65 for a three month plan. This only includes the tool, food is not included. 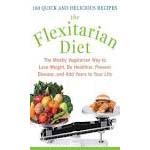 Flexitarian diet focuses on weight loss and optimal health in general. This diet plan claims to deliver fifteen percent weight loss than those meat eaters individuals. Aside from weight loss, individual who is in Flexitarian diet have lower rates of heart disease, cancer and diabetes. Flexitarian diet is actually a combination of the words Flexible and vegetarian, combined together they come up with Flexitarian diet. This diet plan focuses on vegetable as a way to lose weight. Its benefits is not only losing weight but a much healthier body. This diet plan does not totally restrict eating meat but you can have one on occasions or when the urge hits. But most of your diet will be composed of fruits and vegetable. Flexitarian diet still consists of the five food groups. Five food groups of course consist of meat but here the new meat is introducing. New meat includes eggs, nuts and seeds, peas, lentils, beans and tofu. Other foods include in the Flexitarian diet includes whole grains, vegetable and fruits, spices and dairy. Honey is a good substitute for sugar. The Flexitarian diet plan provides a five week meal plan for breakfast, lunch, dinner which you can follow. Flexitarian meals focuses on plant proteins rather than on meat proteins. This diet plan is created by Dawn Jackson Blatner and its available on amazon. Volumetric Diets are just like Mayo Clinic Diet, Ornish Diet and Jenny Craig. It focuses on weight loss and this plan claims that you will lose one to two pounds every week. With a Volumetric Diet plan will guide you to know the food’s energy density, and make the right choice of food. They have divided food into four groups – Food group 1consists of very low density food like nonfat milk, nonstarchy fruits and vegetables and broth base soup. Food Group 2 are low density foods like breakfast cereal, starchy fruits and vegetables, low-fat meat, legumes and more. Food Group 3 is medium density foods like cakes, Ice cream,pizza, meat, cheese and more. Food Group 4 is high density foods like cookies, chocolate candies, chips, crackers and more. The Volumetrics diet plan suggests you go heavy with Food Group 1 and 2, limit your portions for Food Group 3 and keep yourself at bay with Food group 4. You can have it once in a while but keep it at a minimum. 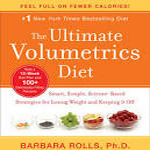 Several studies have been made already and results showed significant decrease in weight for those who follow the Volumetrics diet plan. This plan is not expensive at all, you do not need to register, all you have to pay for being the Ultimate Volumetrics Diet which cost $16.99. This diet is created by Barbara Rolls, who has a Ph.D. and working as professor of nutritional sciences at Pennsylvania State University You can purchase this diet book from Amazon. Jenny Craig Diet focus on weight loss and it resembles closely the Medifast, Weight Watchers, Volumetrics, Slim-Fast and Nutrisystem. The diet plan claims to decrease weight up to two pounds a week. Jenny Craig Diet claims that losing weight is really easy and simple as restricting portions or servings, fats and calories. This idea is what is prepackaged in Jenny Craig’s meals and recipes. Once you go for this program, you will know what food you should eat, what is a balance diet. All this knowledge you will be able to apply in your daily living even after you graduate from this program. Once you enroll in this program you will get a personalized meal plan as well as an exercise plan. You will also get a one on one counseling sessions every week with the Jenny Craig consultant. Your diet plan will be designed based on your current fitness habits, weight, how you manage eating when stress and of course your motivation level. Jenny Craig offers various programs like Jenny Craig Type 2, Jenny Craig Silver and Jenny Craig for Men. The only difference in this program is the one-on-one counseling which is designed according to the individual who sign up. There is no specific time frame, the diet plan lasts for as long as you need it be it for just a few months or years. It is a little bit expensive and the price is often the reason why most dieters go for other diet plans that are cheaper. The initial registration fee can cost you more than $400 and a week’s worth of Jenny’s menu can cost you about $100. The success of this program depends solely on how you stick to the program. Biggest Loser Diet focuses on weight loss and prevention or reversal of disease. This diet plan claims weight loss after six weeks and it can also help reverse or prevent diabetes. It also cuts the risk of life threatening disease like cancer, cardiovascular disease, Alzheimer’s and Dementia. Biggest Loser Diet was developed out from the idea that individual eat too many wrong foods and not consume enough of the right foods that the body really needs. Eating the right food and leading an active life is the key. The first thing to do is to choose a Biggest Loser Book to follow. All of the books teaches the same principles. You need to read the book and follow everything to the dot. You have the books to choose from which includes the 30-Day Jump Start, and 6 Weeks To A Healthier You. How expensive is the diet plan. The Biggest Loser Diet works with a membership plan which will cost you around $14 per month. You’ll get access to express 6 week weight loss plan, food tracker, workout routines and videos and much more. Ornish diet is a low fat diet which closely resembles Vegan Diet, Volumetrics, DASH Diet and TLC Diet. Its objective is not only to lose weight but to prevent or reverse the effects of life threatening disease like heart diseases, diabetes, cancer and hypertension. This diet plan is scientifically proven to lose weight and gain optimal health. The Ornish diet focuses on nutrition and physical activity. In Ornish you will find that food is grouped into five, from the most healthful to least. As for physical activity or exercise, Ornish recommends resistance training, aerobic and flexibility. To manage stress you can go for yoga, deep breathing and meditation. You can decide on what combination you would want to do every day. Support from family and friends plays an important role in achieving your goals. Is Ornish Diet plan expensive? The food involve might be a little bit expensive but the essential guide “The Spectrum” is only $27. Traditional Asian Diet benefits include weight loss, prevention of disease and optimal health. 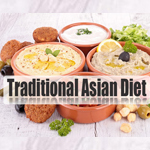 The traditional Asian diet consist of rice, corn, breads, noodles, millet and other whole grains combine with vegetables, fruits, nuts, seeds, legumes and vegetable oil. Fish or any dairy products has been just optional in the diet. Poultry products and other sweet foods are consumed at least once a week and red meat is allowed once a month. Asian Diet is not really a structured diet but more of an eating pattern so that it is your responsibility to figure out how many calories you should consume to lose or maintain your weight. Is the diet plan expensive? Not really pricey but expect that there are some ingredients that are quite expensive like the Olive Oil but remember you are skipping a lot of meat too which saves you a lot of money. This diet is more of a eating way rather some plan. It may deliver weight loss, prevention or control of diabetes and heart health. There are different types of vegetarian like those who does not consume any meat at all but still consume dairy products and eggs, Vegans who does not consume any animal products at all, Lacto vegetarians who excludes meat, fish, poultry and egg, and Ovo-vegetarians who excludes animal and dairy product. You can follow any vegetarian recipes and meal plans depending on what you prefer. It might be hard to shift to a vegetarian diet but just remember all the health benefits it brings. Losing weight is not just about the food you eat but you have to be coupled it with exercise. Physical activity is very important. It might be a little expensive when you go for vegetarian diet since fresh fruits and vegetables as well as whole grains can be quite expensive. But the thing is you get to save too with meat. You can use the Forks Over Knives cookbook which has 300 vegan recipes. This book is the Amazon Best Seller in Vegetarian Diets. Nutrisystem diet is a low calorie diet. It closely resembles Jenny Craig Diet. Its goal is weight loss and control or prevention of diabetes. This diet plan is the one that determines and prepares your meal and finally delivers it right at your doorstep. Nutrisystem is the one that tells you what to eat and when. It is guaranteed weight loss tactic. 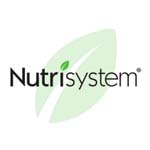 Nutrisystem are designed around the glycemic index. The program focus on good carbohydrates which keeps the body feeling full longer and keeps your metabolism and blood sugar normal. A bit pricey, with their Select Plan which is a 38 day may cost you around $300 to $340. This includes ten days of frozen meals and eighteen days of pantry foods. Compared to Jenny Craig Diet Plan, Nutrisystem Diet Plan is still cheaper. This diet plan is like Flexitarian Diet, Mediterranean Diet and Vegetarian Diet. 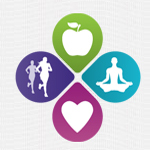 Its goal is to deliver optimum health. At first look it might not cater to those who wants to lose weight but if you care to look at it closely you will realize that its end result does not only deliver optimal health but promotes weight loss too. This diet plan is based on our daily consumption of calories (2,000 to 3,000) depending on your weight, activity level and gender. Around forty to fifty percent of your calories should come from carbohydrates, twenty to thirty percent from protein and thirty percent from fat. Weil’s diet suggests a combination of all three of this nutrient in every meal. Carbohydrates should be those healthy carbs which keeps your blood sugar level stable. As for fat, you need to cut down on saturated fat instead use extra virgin olive oil, omega 3 fatty acids and nuts. It is not really expensive, the only expenses you’ll have is buying all those fresh ingredients for your meals. 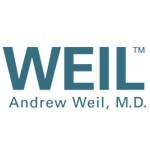 As for recipes, you can find lots of recipes on Weil’s website. The focus of the Flat Belly Diet is weight loss. It is said that individuals will lose weight up to fifteen pounds in just thirty-two days resulting in the loss of several inches of belly fat. MUFA or Monounsaturated fatty acids target belly fat while preventing overheating and promoting fullness. MUFA is a plant based fat you find in avocados, olive oil, avocados, chocolate, seeds and nuts. Flat Belly Diet work by consuming one serving of MUFA at every meal and of course daily consumption of 1600 calories. Diet mostly consists of whole grains, lean protein, seeds, beans, nut and fruits and vegetable. The plan consists of two parts which is the four day anti-bloat to start with and a four week eating plan. The plan includes recipes, complete meal plans and grocery lists. This frees you the time to do the meal planning. 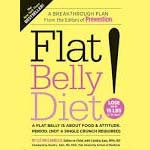 You have to pay an online membership of $19.95 every month plus The Flat Belly Diet guidebook at $15.99. Following this diet plan can be expensive since some of the ingredients are a bit pricey. So there you have the fifteen best diet plan that you can choose from. Choose the one that you are comfortable with and is just right for your budget.